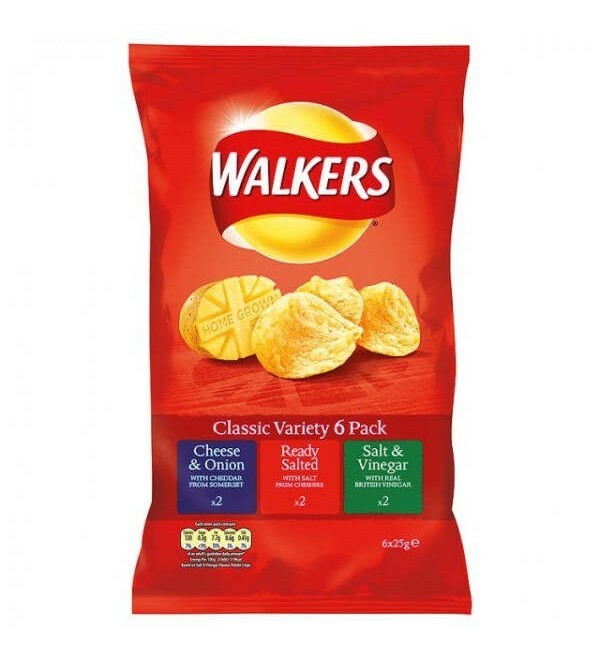 Value pack containing six 25g packets of Walkers Crisps classic favourites: Cheese & Onion (2), Ready Salted (2) and Salt & Vinegar (2). 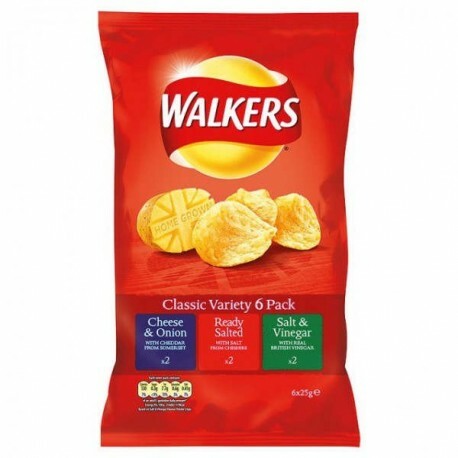 Value pack containing six 25g packets of Walkers Crisps classic favourites: Cheese & Onion (2), Ready Salted (2) and Salt & Vinegar (2). Walkers believes that home grown food tastes best. That why they search every corner of Britain for the tastiest British ingredients to go into all of their irresistable flavours. Made with 100% British potatoes with no artificial colours, preservatives or MSG.